rhinestones atop, matte black sides, and golden setting. 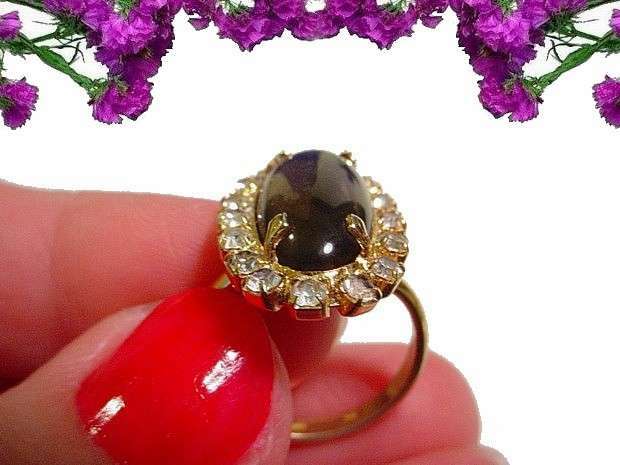 Vintage ring is a size 7. Sits 1/2" up on top of finger. 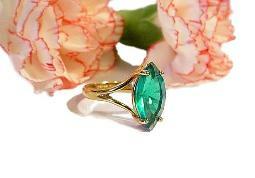 pinks, emeralds, golds, rhinestones and others. 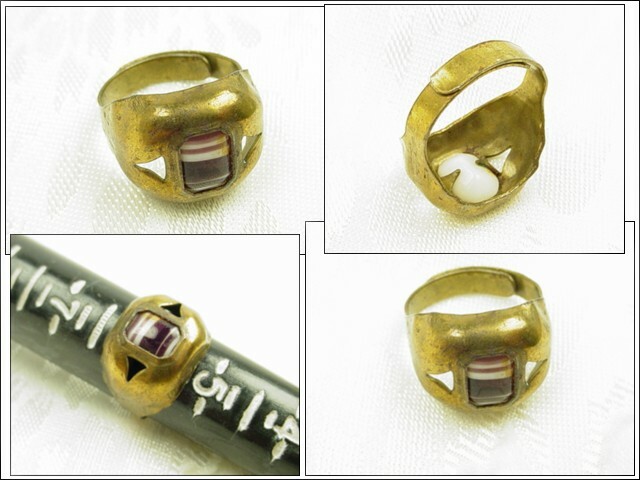 Vintage costume ring. Center row of ruby red crystal rhinestones and two outside rows of crystal clear rhinestones. Vintage rhinestone ring. 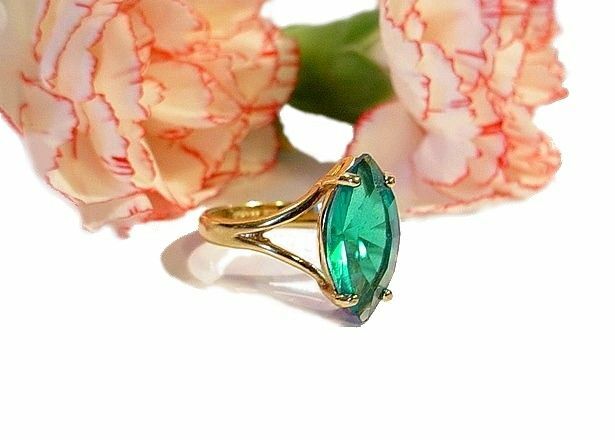 Filled with ten marquise cut teal blue glass stones. Gold tone, adjustable ring. 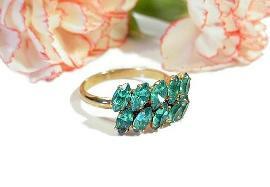 Teal blue vintage marquise ring. Stone is over 1/2" long. 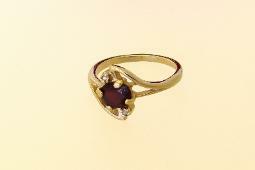 Signed 14KT.GE.ESPO. Size 7.
age wear and darkening top and bottom. Agate stone brown stripped with white, and whitish on the backside. 1800s. 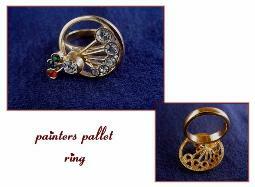 Painters Pallette vintage ring with rhinestones. Painters pallette top swivels naturally on the band. 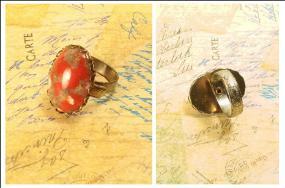 Huge Simulated lucite coral cabochon ring. 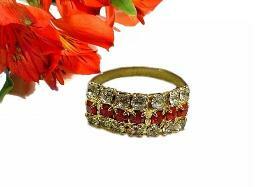 Filigree detailed wide adjustable band. well...G1O 24KT HGE Lind. HGE (Heavy Gold Electroplated). 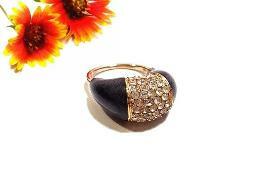 simulated stones, the choice in a design is limitless.